How Safe Are The Cheltenham Fences? With just over 35 days remaining until the start of the 2019 Cheltenham Festival, most racing enthusiasts are plotting their diaries and delving through the ante post lists for those lucratively priced hot chances. For the trainers and owners, however, it can sometimes be a worrying time. The Festival is the pinnacle of the National Hunt season and to get your horse there in one piece is one form of triumph, getting into the winners enclosure is another altogether. 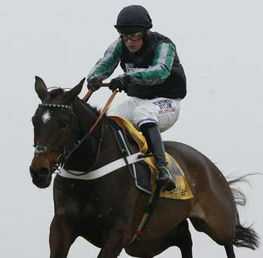 The Festival races are amongst the most competitive in the world. Cavalry charge starts of breakneck speeds are common and when a high number of horses are jumping over challenging fences and hurdles, there is regrettably a higher propensity for injuries and fatalities for jockeys and horses alike. The stakes are high, the risks even greater. Some owners have even said enough is enough and have withdrawn their horses entirely from competing in any races at Cheltenham. This may be regarded as slightly draconian or the right decision: either way, owners and trainers are well within their rights to determine when and where their horses may run. My curiosity was therefore aroused and I decided to investigate objectively to see the situation for myself. First off, to a high profile story which emerged recently: the case of the Rooney’s. 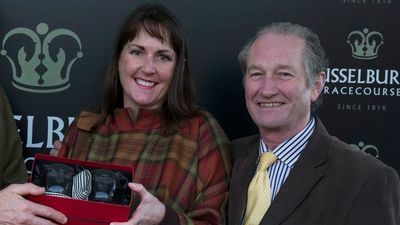 Paul and Clare Rooney have been prolific racehorse owners in recent years over the flat and national hunt courses. One of their notable successes was of course Willoughby Court who won the Neptune Novices Hurdle at The Festival in 2017. However, their record at Cheltenham since has met a string of ill luck including the unfortunate fatality of Starchitect in the 2017 Caspian Caviar Gold Cup along with One For Billy who crashed through a tape when on the verge of winning a race in October last year. 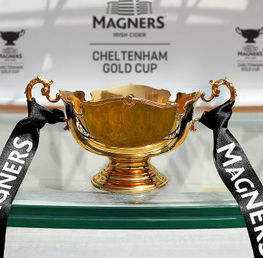 As a consequence (although there is no reported link between these afore-mentioned incidents and the decision), the owners have instructed their trainers, which includes amongst others Nigel Twiston-Davies, Jonjo O’Neil and Kim Bailey, not to declare any runners at Cheltenham for the foreseeable future. This decision was made based entirely on safety concerns. 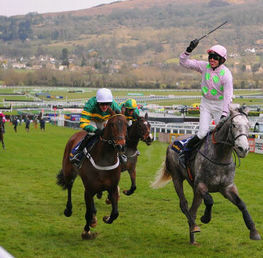 Cheltenham Racecourse have so far yet to respond although the British Horse Racing Authority has made some recommendations in response to the seven fatalities suffered at the The Festival in 2018 most noticeably during the final race, The Grand Annual Handicap Chase which saw three entries sadly perish. 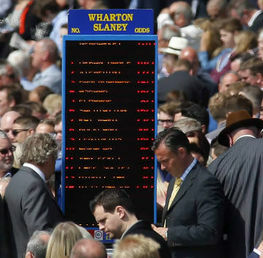 The main changes advised by these recommendations (17 in all) pinpointed issues with the 2 mile chases, veterinary inspections, statistical rates of falling for jockeys and trainers and more analysis into the likelihood of horses pulling up due to fatigue and thereby recognising the potential for this occurrence prior to the race starting. The Martin Pipe Conditional Handicap Hurdle has also been altered to stop jockeys from claiming their normal allowance, thereby encouraging trainers to refrain from using the jockeys with the best claim allowance in favour of those with more experience. Prestbury Park officials have always been prompt at tackling issues relating to particular fences which have deemed to be a potential risk to horses. One such case was the so called “Death Fence” which was the second last fence on the Old Course. This fence had been producing a high number of incidences mainly due to the positioning of it being at the end of a downhill gradient. Horses were producing speeds that stopped them from negotiating the fence correctly and resulting in horrendous falls for jockeys and horses alike. However, the fence was altered in 2010 and placed 90 meters further down and past the infamous bend to give horses more time to steady their running speed when approaching it. The fourth last fence on The New Course was also repositioned in 2006. However, an intruding theory put forward by former National Hunt jockey and racing correspondent Marcus Armytage, claims that contemporary horses are not as robust as they once were. Stallions, whose careers were ended prematurely by injury, are reportedly passing on these weaknesses to their offspring. The Grand National was always at the forefront of horse racing safety speculation in the past. Now that the Aintree Grand National has successfully avoided any fatalities since 2012, it is of no surprise that the attention has now shifted towards the Cheltenham Festival, which grows more popular year by year. However, the next Festival will be the real tester after the changes brought in by the BHB. The Festival organisers always put safety and horse’s welfare before everything else and this is continually supported by trainers, jockeys and racing enthusiasts. The work that Cheltenham has done over the years has clearly reflected the demands raised by the recent safety concerns. 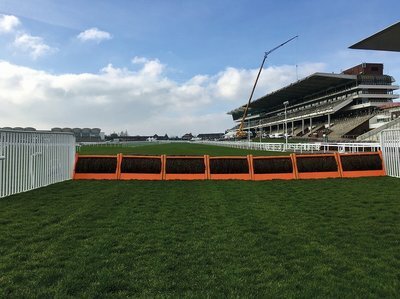 The fences and undulations are no different to any other course, it is simply down to the increased number of horses who wish to participate in these highly lucrative races and Cheltenham Racecourse has addressed these particular issues in good time for the opening roar on March 12th.